A US native, Amy has experience teaching English to all ages from early childhood to adults. She gained her experience through teaching at a private English academy in South Korea, as well as at Hong Kong Baptist University and with private tutoring clients in Hong Kong. Having a classical education herself has led her to develop a respect for grammatically correct communication and a passion for English literature. She has been appreciated by her past students particularly for her supportive and patient nature. 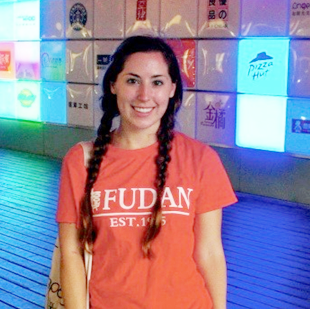 A lover of Chinese culture, she has spent time living in Shanghai pursuing language studies of her own, thereby gaining more insight into the specific challenges of transitioning between Chinese and English. She is excited to start her next chapter of teaching, as she is looking forward to the energetic and sweet nature of child learners!